Spokane International Airport announces that United Airlines has added new daily, year round nonstop service to San Francisco and Chicago's O'Hare International Airports. The new routes will provide one-stop connections to a wide variety of domestic cities throughout the Western, Central, and Eastern United States, as well as, the international destinations in the Pacific, including Australia, Canada, and Europe. 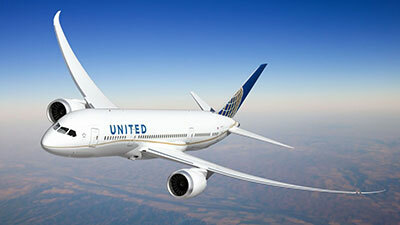 United currently provides twice daily nonstop service to Denver. Both new routes will begin June 8. There will be twice daily San Francisco service and once daily Chicago flight. United 2395 departs Spokane 11:40pm, arrives Chicago O'Hare 5:03pm. Beginning September 6, 2017, the Spokane departure will change to 7:30am. BECU, Washington's largest community credit union, has announced it will open its third location in Spokane on the corner of Newport Highway and Holland Avenue later this year. Totaling 3,000 square feet, the financial center will join Spokane Division and Spokane Valley neighborhood financial centers in serving more than 6,300 members in Spokane County. Members can use all three locations to establish accounts, apply for loans and perform financial transactions. The new location will also offer expanded mortgage services through a home loan center. With more than 1 million members and over $16 billion in assets, BECU is the largest credit union in Washington and one of the top five financial cooperatives in the country. 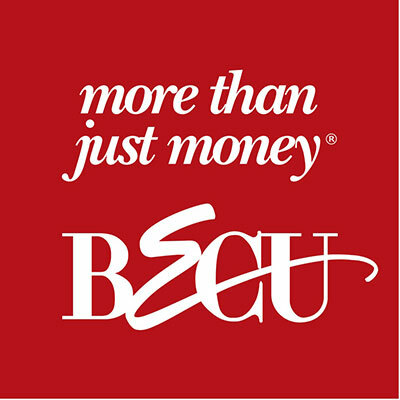 BECU currently operates more than 45 locations in Washington and two financial centers in South Carolina. For more information, visit www.becu.org. Firehouse Subs is coming to Spokane. The Jacksonville, Florida-based sandwich chain is working on a new location that will occupy just over 2000 square feet in the recently renovated former Apollo Spas building at 7808 N. Division. The opening date is estimated to be before June 1. There will likely be a second location coming sometime in 2018 and upwards of 4 Spokane area locations are possible. For more information on Firehouse Subs, visit firehousesubs.com. Visit Spokane, on behalf of the TPA Commission, has announced the 2017 Tourism Promotion Area (TPA) grant recipients awarded by Spokane County. 2017 Tinnabulation Music Festival - $25,000 - This is a new, three-day event showcasing more than 50 bands, potentially attracting 40,000 people to the heart of downtown Spokane. Sept 8-10. Spokane Summer Classic - $8,505 - An adult soccer tournament put on by the Spokane Valley Junior Soccer Association. The money will go toward marketing to entice out of town participants. July 8-9. First Night/Day Spokane - $5,000 - The Spokane region's New Year's Eve and New Year's Day celebration. First Night is designed to foster support of arts and entertainment in the region. Dec 31-Jan 1. 2017 Bach Festival - $3,000 - Led by world class cellist and 2017 Grammy winning artistic director, Zuill Bailey, the money will be used to produce a video invitation aimed at enticing music lovers around the region to Spokane. Feb 21-March 5. Spokane Lilac Festival - $5,000 - The Spokane Lilac Festival Association promotes outstanding area youth, provides support for the military and showcases the Spokane region with a parade in May that has an estimated 150,000 in attendance. Ongoing. Crave - $8,000 - A brand new event, organizers plan to build a multi-day food event to promote the Spokane region's culinary scene. Crave will be held at CenterPlace Regional Event Center. June 15-18. TPA funds are made available through the support of Spokane County lodging businesses. For every occupied room night, guests are assessed a two-dollar per room, per night fee that is returned to Spokane County. The revenue collected from this assessment must be used for activities and events that are designed to increase tourism promotion and convention business in the Spokane Metropolitan Area. Each year, grant applicants present their project plans to the Spokane County Hotel-Motel Board. Board members make their final recommendations, which are then forwarded to the Spokane County Commission. Commissioners can either accept or reject the recommendations. There will be an informative Health and Medical Resource Fair this Saturday, March 4 from 10am to 2pm at the Southside Community & Senior Center, 3151 E 27th Ave. This will be an informational, educational day packed with information about healthy living and community health resources. Representatives from many community organizations will answer questions and provide free resources, referrals and information. Organizations include: Aging & Long Term Care of Eastern Washington, Intrepid Home Health, Hospice of Spokane, Meals on Wheels, Priority Footwear, Columbia Hearing Aid, Love At Home Senior Care, Cap-Tel Captioned Telephone, Spokane Eye Clinic, Rockwood Lane Retirement, Costco Hearing Aid Center, Humana Insurance Community, Caring Transitions, Family Home Care, Touchmark Southhill, and more. There is no cost to attend the Resource Fair, and a light lunch will be available for $5. For more information, call 509-535-0803. Sterling Hospitality has announced Holiday Inn Express & Suites Coeur d'Alene and the Holiday Inn Express Spokane Valley were awarded the IHG (InterContinental Hotels Group) Torchbearer Award, the highest honor for quality and service. The Torchbearer Award is given to the top 5% of hotels that have achieved the highest level of excellence in all aspects of operations, from quality to customer satisfaction. It was created to honor the best of the best as measured by guests. Spokane SCORE Chapter 180 will present a workshop on How to Start a New Business, this Wednesday, March 1 from 8:30 to 12:30pm. Learn step-by-step consideration of legal, tax, insurance, accounting, business planning, and funding topics that you need to address to successfully start a business. Presenter is Rob Rowley P.S., Attorney & Counselor at Law and entrepreneur. The workshop will be held at the SBA Training Room, 801 W Riverside, Suite 444. For information on cost and registration, visit www.scorespokane.org. Veterans can attend this workshop for free. 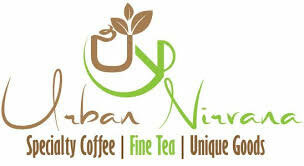 Urban Nirvana recently opened in downtown Spokane in an 1180 square foot space at 108 N Washington, selling over 40 award winning fair trade loose leaf teas. There's also a good variety of fair trade coffees which can be consumed on site with some seating in the business. They even have a white tea available that is picked by monkeys. Urban Nirvana also offers an assortment of baked goods. And they have a full afternoon tea service as well as pour over service. They are open six days a week. 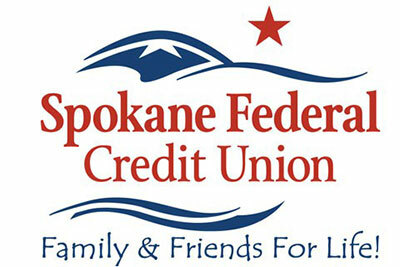 Spokane Federal Credit Union is now offering three free checking accounts - Kasasa Cash, Kasasa Cash Back and Kasasa Tunes, which reward account holders with meaningful rewards, nationwide ATM fee refunds and no monthly service fees. Spokane Federal is the first financial institution in the area to offer Kasasa accounts. Kasasa Cash: a free checking account that is perfect for members who want to earn a higher interest rate. Kasasa Cash Back: a free checking account that appeals to members to want to earn cash back for their purchases. Kasasa Tunes: a free checking account that's desirable to members who regularly make online purchases via iTunes, Amazon or Google Play. Members can qualify for the rewards by switching to e-statements and using their debit card at least 12 or more times per month. However, even if members do not qualify each month, their accounts are still free and able to earn interest. For more information, visit www.kasasa.com, or visit them on Twitter @Kasasa, Facebook, or LinkedIn. Integrus Architecture welcomes new members to its Spokane team. Masataka Beppu joins the team as Intern Architect and is currently working with Integrus' Government team. Suzanne Borden joins as an Interior Design Intern. David Buescher joins as a Project Architect, and is working with Integrus' Government team. Steven Clark will be working with Integrus' Higher Education team. Tim Hazelbaker joins as an Architect and Project Manager with the Government team. Charleen Ince joins as Office Assistant. Travis Leaf joins as Intern Architect and is working with the firm's Government team. Steve Miles joins as an Architectural Technician. Megan Pharmer joins as an Interior Designer, and is working with the Government team. Blanca Rodriguez joins as Intern Architect and is working with the Government team. Kayla Stoker joins as an Intern Architect and will be working with the Government and Higher Education teams. Eddy Svidgal joins as a Project Architect and is working with the Government team. Suzanne Urbanec joins as Accounts Payable Bookkeeper. For more information, visit integrusarch.com. Lone Wolf Harley-Davidson earned the prestigious Gold Bar & Shield Circle of Excellence Award for 2016. Presented by Harley-Davidson Motor Company, this award is given to the top three dealerships in each U.S. Sales Market. Lone Wolf Harley-Davidson earned the award based on motorcycle and related product sales performance, customer service and satisfaction, and operational measures. Lone Wolf Harley-Davidson, 19011 E. Cataldo Ave, Spokane Valley, WA. 99016, has been in business in the Spokane and Coeur d'Alene area since 2008. Lone Wolf Harley-Davidson has earned a Bar & Shield Circle of Excellence Award each year they've been in business.